THE Harare International Carnival (HIC) will in the next five to 10 years be able to generate enough money to fund itself and be weaned from treasury support. The event, underway in Harare, has been funded by the Government since its launch in 2015. Last year, it was however, shelved due to shortage of funding. The Minister of Tourism and Hospitality Industry, Dr Walter Mzembi said the Government was targeting that the carnival will in the next few years generate enough revenue to be able to stand on its own feet. “Government believes in the power of the carnival, particularly its potential to generate the much needed revenue for the country. Taking into consideration that our carnival is still teething and growing gradually, as Government we are optimistic that it will yield return on investment in the next five to 10 years hence the reason why the project has continued to receive major support from the treasury,” said Dr Mzembi. Last month, Zimbabwe Tourism Authority (ZTA) spokesperson Mr Sugar Chagonda said this year’s carnival which was held from September 1 to 10 was expected to generate an estimated $50 million and this would surpass the $21 million generated at the 2015 edition. Zimbabwe Council of Tourism chief executive Mr Paul Matamisa said the carnival was a big business that can contribute to the growth of the economy. “In the tourism sector, a carnival is considered as business because if a nation properly organises it, an economy which is called a carnival economy is established through the activities which will be taking place. 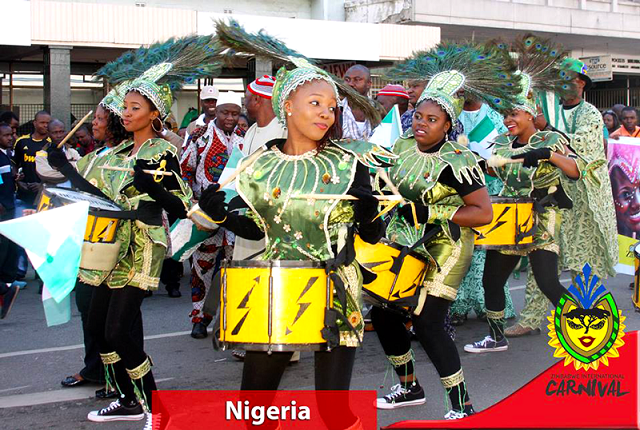 Carnivals also boost domestic and international tourism, facilitate for the establishment of friendships with other nations. In the future, tourism will grow as a result of the carnival,” said Mr Matamisa. Meanwhile, ZTA chief executive officer Dr Karigoka Kaseke said 26 countries participated in the carnival, surpassing the initial target of 20 countries. “During the 2015 edition, we hosted about 18 countries and for this edition we had targeted to host 20 countries but we managed to successfully host 26 countries. This year we had six nations who participated in the carnival for the first time and they are namely Burundi, Ghana, China, Cuba, Portugal and Jamaica,” said Dr Kaseke. HIC is an annual festival that encompasses a series of events and festivities with the main goal of advancing arts, culture, and the heritage of Zimbabwe as well as uniting the populace. Dr Mzembi also urged ZTA to consider turning the carnival into a nationwide initiative so as to also benefit other cities. “Our broader vision is that it shouldn’t be an exclusive initiative. I would like to see the carnival being celebrated across the nation in various cities and districts. This will follow the Cuban example where it moves from one province to the other. I believe what is good for Harare is good for other cities and the carnival,” Dr Mzembi said. He also thanked the carnival’s platinum sponsor, Big Time Strategic Group of Companies, a South African firm owned by a Zimbabwean, Mr Justice Maphosa which provided stage and lighting equipment for the main stage and paid for local and regional artistes who performed at the fete. “This year’s edition has been made possible through the adoption of a Public Private Partnership model. This saw the coming on board of the Big Time Strategic Group of SA as a major sponsor. On behalf of the Government, I want to pay homage to them for their invaluable support. We are happy to be having development partners who share the same vision with us mainly on spurring the growth of the national economy,” he said.